Save your time by copying a whole section from one course to another. 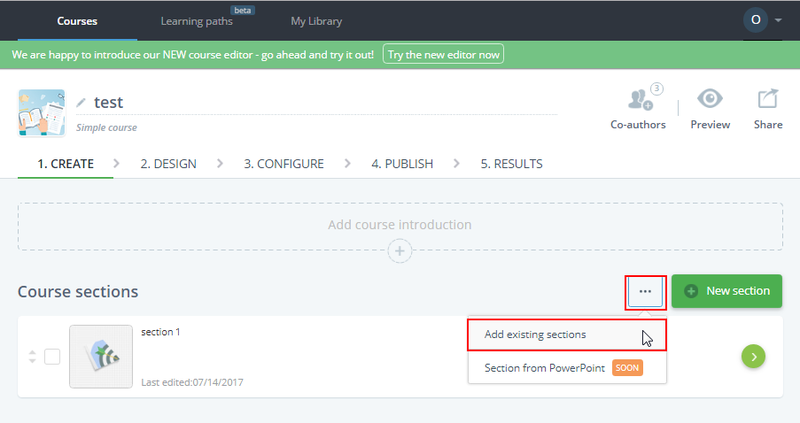 To reuse a section in another course, first, you need to switch to the old editor. Now open the course that you want to duplicate a section into, and select one or some of the existing sections.